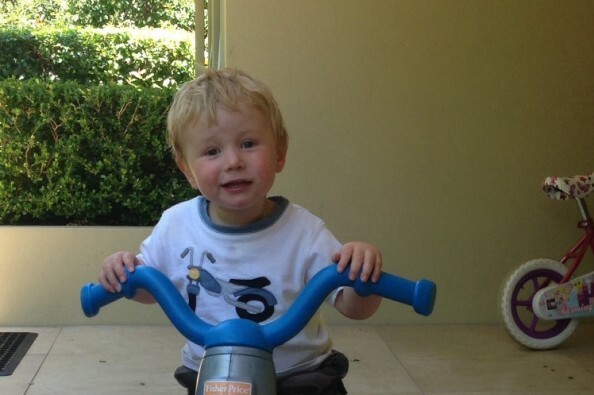 Oliver (Ollie) is two and a half years of age, and at two was diagnosed with Cerebral Palsy (CP). Ollie's CP is due to congenital cytomegalovirus infection (CMV), which has also left him profoundly deaf in his left ear. Ollie lives in Canberra, and has to make frequent trips to Sydney for treatment and appointments. Botulinum toxin (Botox) injections into his legs and hips reduce his spasticity and assist him to mobilise with a walker, but this intervention wears off over time, and the spasticity, muscle cramps, accompanying pain and reduced mobility return. Consequently, Ollie is unable do to a lot of things that most children take for granted, like walking, running, jumping, sitting on the floor, and kicking a ball. An amazing neurosurgical procedure called Selective Dorsal Rhizotomy (SDR) has been shown to permanently reduce spasticity in children with CP. This means children can expect improvements in sitting, balance, and mobility. It is also likely to eliminate or greatly reduce his need for painful and invasive orthopaedic procedures throughout his life. 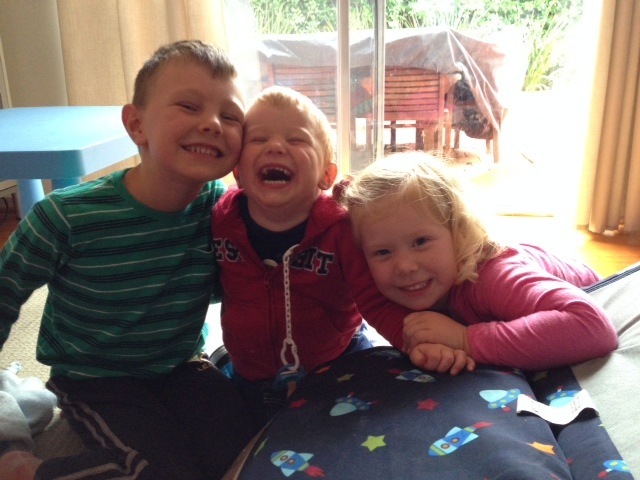 For Ollie, this operation in addition to intense post-operative surgery may mean he can walk independently without his walker, and run around and ride a bicycle with his older brother and sister. This amazing and life changing surgery is performed at the St Louis Children's Hospital in Missouri (USA) by Dr TS Park and his team. Dr Park has performed this procedure over 2800 times in children and adults with CP. To get there, we need to raise $70,000. Ollie is a very happy, motivated and determined little man, and as his parents, we want to give him this opportunity so that he can realise his potential, and live the amazing life he deserves. 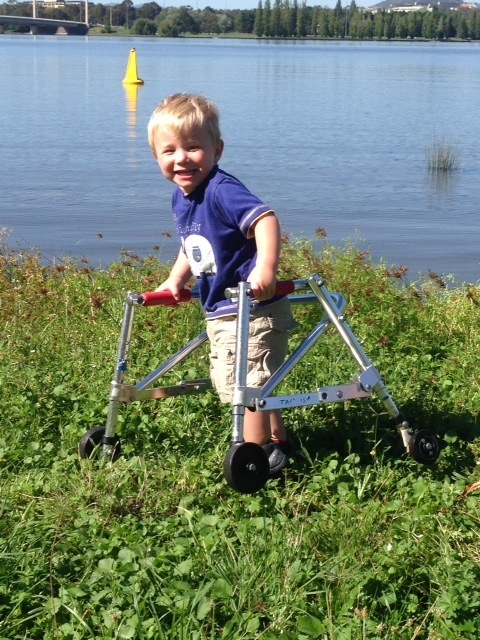 If you would like to help Ollie to live his life without pain, multiple painful orthopaedic procedures, and have the ability to live his life like other children, we would be extremely grateful. Next Tuesday night (November 25th) is our final fundraiser for Ollie, before we head off to St Louis for his life-changing SDR surgery. Ollie's Seinfeld Trivia Night will be held at The Hellenic Club in Woden, and the fun kicks off from 7pm. Tickets need to be purchased online, using either of the links below. You can purchase a table of 10 for $200, and/or an individual tickets for $25. Tables can hold up to 12 people, but having 10 will be more then enough! This time next month, Ollie would have had his surgery - eek!!! Last night at Dad's birthday party, Elliott (Ollie's big brother) set up a table to sell loom bands he had made to raise money for his little brother. Last night we attended my Dad's 70th birthday party. It was a great night, and dad's family and friends were there to help him celebrate - and provide the entertainment. Dad provided a donation bucket, which was generously filled by many there in attendance. Beautiful little man and great cause. Carolyn and I supported CP AUST for many years - I know she'd help Ollie if she could. Come on people who know this beautiful family. Help out. I always believed in god. Your generosity has just proved it. Thanks to you all. Hi Angela and Mark, Sorry it has taken soo long for me to get organised. Started following your journey on facebook just a while ago. You may not remember me but I remember you from London days. Hope things just get better and better for your family.